24 Oras (24 HOURS) is the flagship national network news broadcast of GMA Network. A nightly national newscast which airs in the Philippines and worldwide via GMA Pinoy TV. It is aired Weeknights at 6:30-8:00 PM, Saturdays at 5:15 to 6:00 PM and Sundays at 6:00 to 6:45 PM (PST). The newscast is simulcasted on radio thru Super Radyo DZBB 594 kHz in Mega Manila and several of its regional Super Radyo stations nationwide. TV Patrol is the flagship national network news broadcast of ABS-CBN in the Philippines. It is aired Monday to Friday from 6:30 p.m. to 7:45 p.m., Saturdays from 5:00 p.m. to 5:30 p.m., and Sundays from 6:00 p.m. to 6:30 p.m. (PST). It can be heard simultaneously on radio through DZMM, its television counterpart DZMM TeleRadyo, and its provincial radio stations based in Cebu and Davao. It is also aired internationally via The Filipino Channel. It has been the longest running Filipino evening primetime newscast after its inception on March 2, 1987. 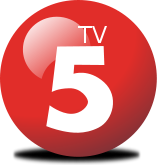 Aksyon TV5 News and Information or News 5 (formerly ABC News and Public Affairs and TV5 News and Public Affairs) is the network's News and Information programming block of programs aimed at reporting with militancy for change and action since April 2010. Alice Bungisngis and her Wonder Walis or Alice: The Giggling Witch (International title) is a Philippine Drama-Fantasy-Comedy series produced by GMA Network, under the direction of Mark Reyes. 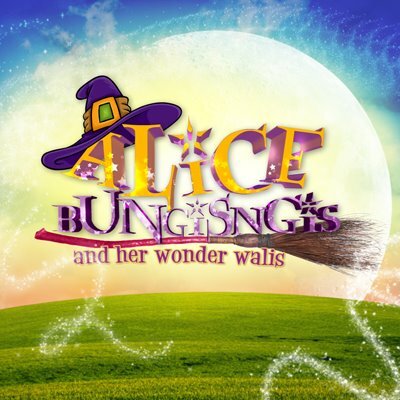 The series features tween stars Bea Binene, Jake Vargas, Derrick Monasterio and Lexi Fernandez with Sheena Halili, Jean Garcia and Janno Gibbs. The series premieres February 6, 2012, replacing Daldalita on GMA's early primetime slot. The TV series is filmed and shot in Hi-Def 1080p, as GMA Network had already standardized most if not all of its shows by last 2011. Although in High Definition, it is broadcasted in 480i for standard definition as digital television has not yet been activated in the Philippines. Aryana is a Philippine television drama starring Ella Cruz and Paul Salas. Aryana's life story begins when she was cursed by a mermaid (played by Desiree Del Valle). Hiyas (lit. Gem) is an upcoming Philippine romantic-drama TV series aired by ABS-CBN replacing Wako Wako on its Kapamilya Gold timeslot. It is the 15th installment of the Precious Hearts Romances series. It will be the 3rd Year Anniversary Installment for The Precious Hearts Romances Television Adaptations for giving Three Years of Many Top Rating Serials. And is the First Adaptation to have a Fantasy Action Adventure for Television under Precious Hearts Romances' Television Distribution. Sharon: Kasama Mo, Kapatid is Philippine TV's daytime afternoon talk show that airs on Associated Broadcasting Company (TV5). It stars multi-media Megastar Sharon Cuneta. Pink Lipstick is an afternoon Korean melodrama in TV 5 wherein the story is about Yoo Ga Eun, a sweet-natured girl who dated and subsequently married her boyfriend, Park Jung Woo. However, she later discovers that her husband had an affair with her best friend, Mi Ran, and that their adopted daughter is actually Jung Woo and Mi Ran's lovechild. To get revenge on them, she marries Maeng Ho Geol, a wealthy clothing retailer, and carefully plots their downfall. At the same time, Ga Eun also meets Ha Jae Bum, the man who falls deeply in love with her and promises to support her by her side, no matter what she does. Recenlty on Pinoy Big Brother Teen Edition Four, Yves and his bestfriend, Kim, had a conversation at the living room. Yves and Kim talked about what are the things that Yves did while he stayed inside Big brother's house. Meanwhile, most of the housemates thought that Yves, Kim and Myrtle needs to talk so that they can all clear out things between themselves. On the other hand, Big brother talked to Kim and Myrtle individually wherein Big brother asked them both what they felt towards Yves. Big brother also asked Myrtle what she knew about Yves and Kim's relationship and found out that Myrtle only knew that Kim is Yves' best friend. Meanwhile, Kim was very hurt when she saw Yves taking advantage on Myrtle inside the house while she was outside Big brother's house. Meanwhile, at the girls bedroom, the girls talked about scary storied together with the birthday boy, Bing. After awhile, the girls together with Bing were very scared when they heard some scary sounds made by Big brother. Broken Vow is a Philippine drama produced by GMA Network, starring Bianca King, Luis Alandy, Gabby Eigenmann and Rochelle Pangilinan. Directed by Gil Tejada, Jr. Broken Vow premieres February 6, 2012 replacing Kung Aagawin Mo Ang Langit in GMA Afternoon Prime slot.